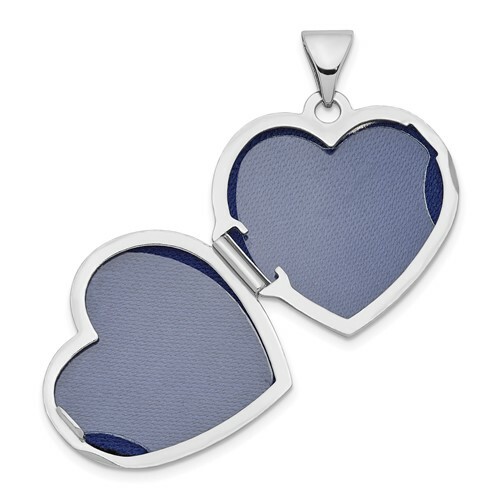 This small scrolled heart locket is made of rhodium-plated sterling silver. Item height: 5/8in. Weight: 1.87 grams. 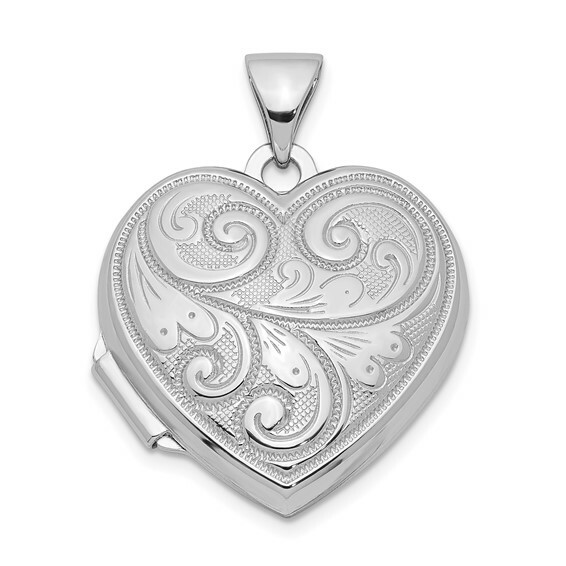 This heart locket is the size of a dime. Front and back have a scrolled design. Not engravable. Import.